Oregon’s capitol building in Salem, Oregon has been through some troubled times. In fact, this is Oregon’s third capitol building – the first two were destroyed by fires. The current building was completed in 1938, and it hasn’t been without its share of catastrophe — an earthquake caused serious damage to the Capitol Dome in 1993 and another fire caused the Governor to evacuate a number of his offices in 2008. 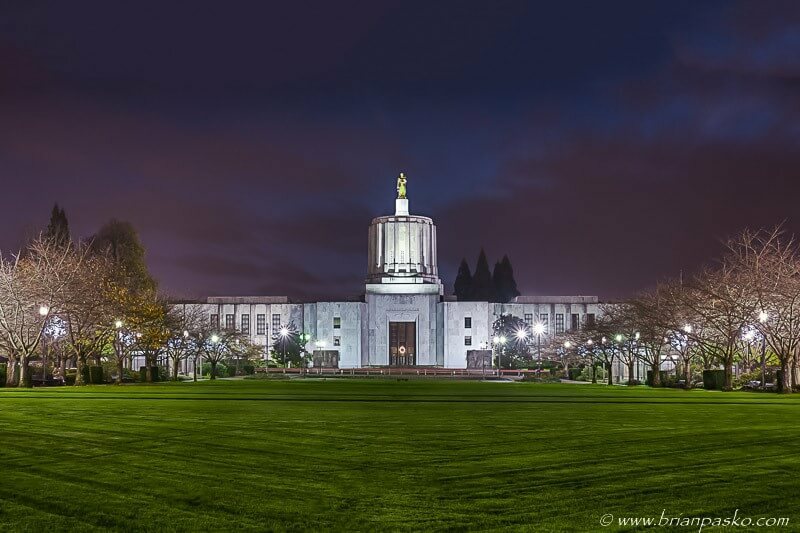 Here is a photo of Oregon’s Capitol at twilight (click the image to see a larger version).